Now, you can ensure your Guards’ safety and health status by using the Man Down functionality of QLD QR-Patrol! Guards that need to perform patrols by themselves, without any close or direct supervision, don’t have to worry anymore! Using Man Down functionality, the Monitoring Center can be alerted of any urgent situation, even if the Guards won’t have the chance, the capability and/or the time to send out an S.O.S. event! 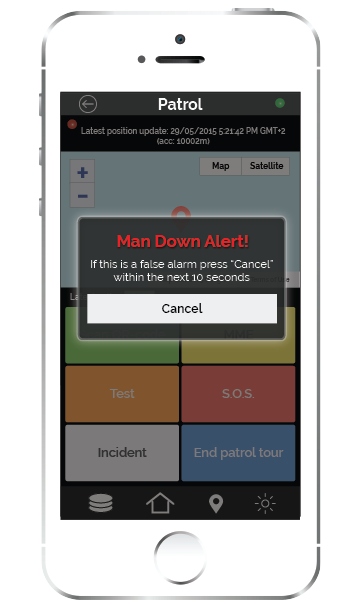 In more detail, Man Down Events are created automatically, once your device’s sensors detect a vertical movement in space or an extreme acceleration in any direction. To cancel a false alarm, the security guard has the option to prevent the event from submitting within a few seconds, in order to prevent causing uncalled-for concern! So, in case any of your Guards collapses unexpectedly or receives a sudden acceleration (for instance, in case he gets hit by a car), the operation manager will receive a Man Down event through the web application of QR-Patrol and an Alarm will immediately take off. The core of the Man Down functionality relies on the movement of the smartphone and the basic concept is to calculate the technical parameters which are correlated with the falling of the smartphone. The system takes measurements every 30 milliseconds. It uses 3 different sensors of the smartphone so as to assure that the phone falls vertically down to the ground. The system will take the first measurement when a vertical acceleration lower than the gravity acceleration (g) is detected. There will be many consecutive measurements where the movement of the smartphone is analyzed for 150 milliseconds so as to ensure that there is a falling and it is not a random event (e.g. abrupt placement of the smartphone on a table). In the next stage, the system tests the movement of the smartphone and undo the previous procedure. If there is no movement or it is too smooth for the next 2 seconds, then a pop-up dialog is appearing for 10 seconds. Within this time interval, the user can undo the sending of a Man Down event, by filling the PIN number. In case it’s a demo account, just press any button and the event will not be sent. Finally, there is an “Extreme Crash” functionality where even if a huge acceleration is detected -e.g. 50 m/s2, meaning an acceleration which equals to approximately 5 times higher than the gravity acceleration – to any direction, then a Man Down event is sent immediately without any pop-up message warning before. It is crucial to mention that there are not significant changes regarding the battery consumption. Keep in mind that Man Down functionality is currently on test mode and our team is working to deliver an updated fully stable version. We are constantly focused on making constant enhancements and adding new innovative features! Enable Man Down functionality through your web application for your Guards and give it a test! Go to your Guards tab, select any of your Guards and click on ‘Edit’ (or just double-click on any of them). Your email address will not be available to the public. 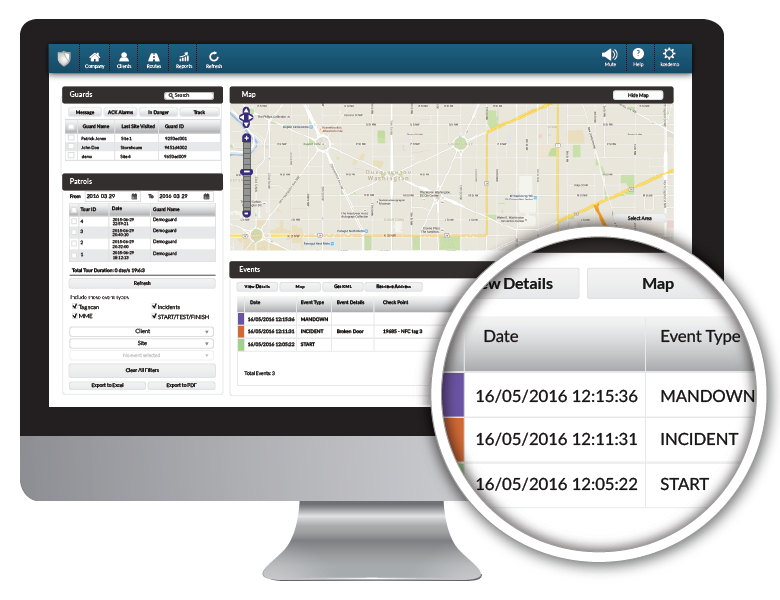 QLD QR Patrol is the smartest real time on-line guard tour and patrol system helping companies and organisations worldwide monitor their guards' activities and upgrade their security status. Our iOS, Android and Web Apps offer free test with no credit card required!